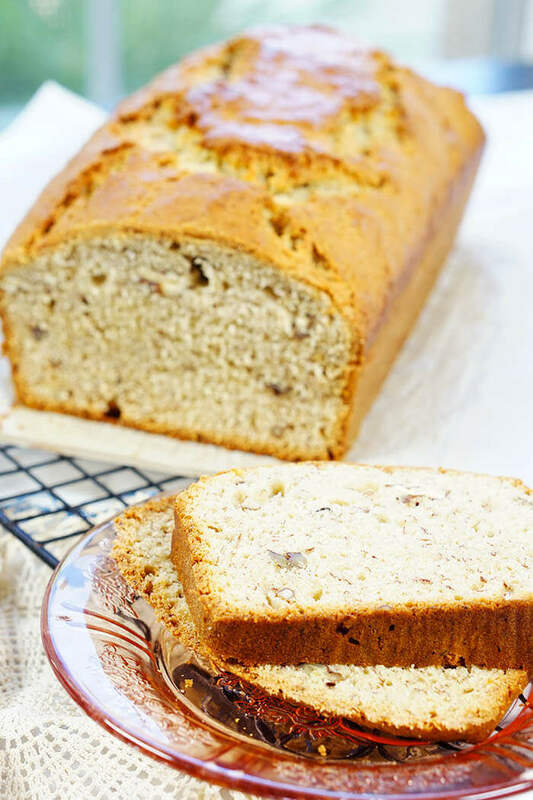 Today I’m sharing a super moist Banana Nut Bread Recipe. This loaf is packed full of nuts and sweet ripe bananas. It has a slightly crunchy crust (my favorite part!) and the inside is dense and tender. 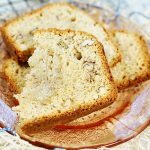 Completely delicious and super easy, this is a classic recipe banana bread recipe that you will absolutely love. Last week I was cleaning off my desk which I try to do often (but never often enough). Did anyone ever watch Columbo? He was the bumbling detective that was always mistaken for being a hot mess. His clothes were rumpled and he seemed forgetful but he was sly as a fox and always got his man. Why am I comparing my desk to Columbo? Well, it kind of looks that way about half the time. Ok maybe more than half …. but like Columbo I can always find what I’m looking for! 😀 Last week when I was cleaning I came across some recipes from Dan’s Grandma Few. One of them was for her super moist banana nut bread recipe! I treasure all of these family recipes. Dan so enjoys it when I make them for him! 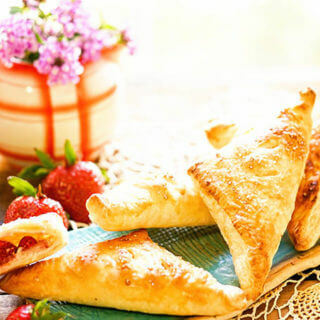 I enjoy sharing these family recipes. They’ve been been around for years and are tried and true. This one is perfect, easy and amazing, but if you want to take it over the top? Serve with a dollop of ice-cream topped with some caramel sauce. Seriously ridiculous. 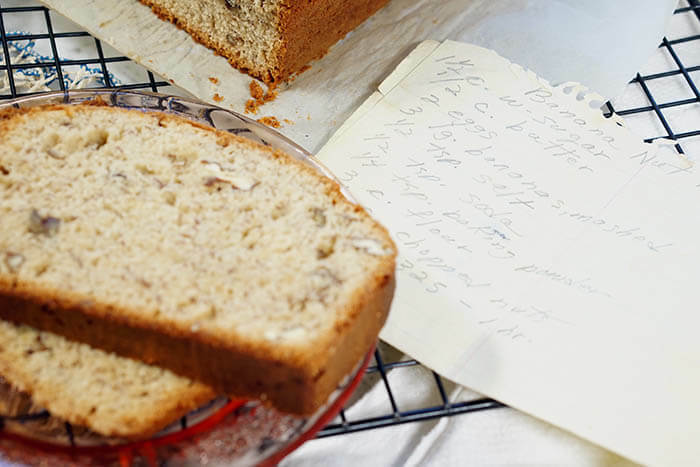 Is this the best banana bread recipe in the world? Well, I’d tell you this is certainly the BEST I’ve ever eaten! The aroma that fills this house as the bread is baking is heavenly!! The cinnamon and brown sugar, combined with the bananas…. sweet deliciousness! 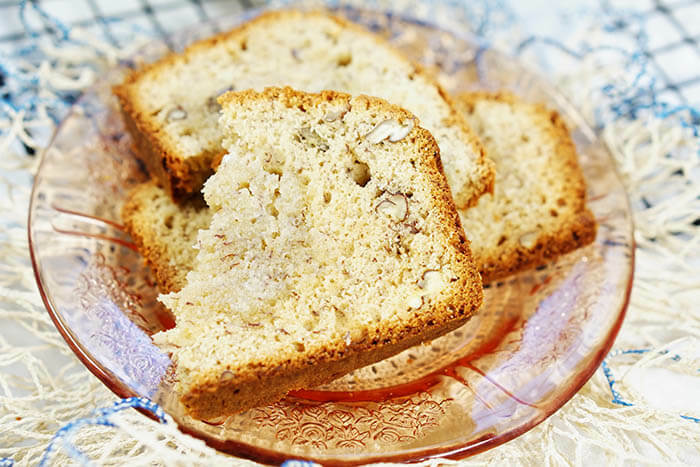 This is simply the best banana bread recipe! How do you ripen green bananas? Place them in a paper bag and loosely close. It will take 24-48 hours to ripen the bananas. Setting the bananas in a warm place like the windowsill will hasten the ripening process. I’ve even heard of putting them in the oven for several minutes or the microwave for a few seconds though I’ve never tried either of these methods. How ripe should bananas be to make banana bread? The more the bananas ripen, the sweeter the flavor. The best bananas will be black! So rather than throw them away, take time to make a loaf of banana bread. No time to bake? Peel and freeze the bananas. Wrap each banana tightly with plastic wrap. Place the wrapped bananas in a ziplock bag and then into the freezer. Well wrapped, they will keep frozen for several months. 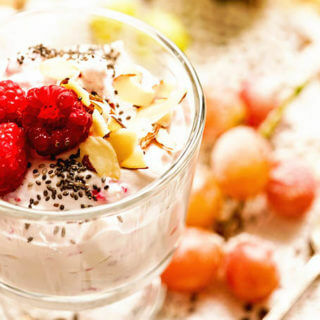 Top it with butter, ice-cream, caramel – or toast it for breakfast! 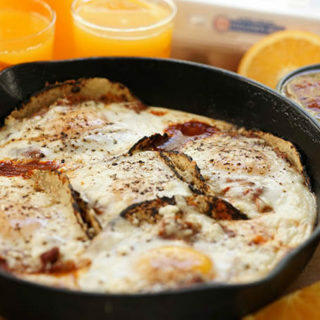 Along with this wonderful recipe, I’m co-hosting another giveaway! Have you always wanted your own KitchenAid Mixer? Now’s your chance! This post contains affiliate links; we are a participant in the Amazon Services LLC Associates Program, an affiliate advertising program designed to provide a means for us to earn fees by linking to Amazon.com and affiliated sites. I only promote things that I love and think you will love, too! Wouldn’t you agree this mixer would be fabulous to have in your kitchen? 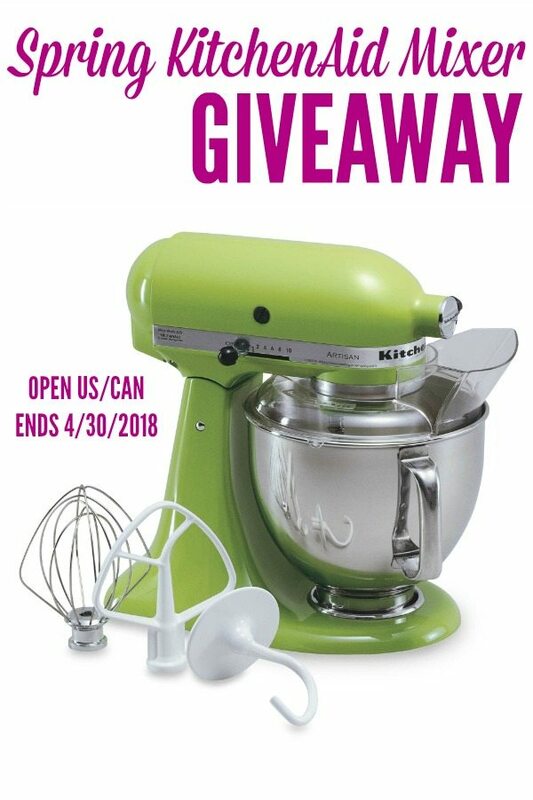 I’ve had a KitchenAid Mixer for about 20 years (though I’d seriously love to have that green one!) and it’s still going strong. It’s a great piece of equipment and helps make baking a breeze. The raffle is free to enter and I’d love to see one of my AMAZING readers win! Good luck! You’re going to love how easy this recipe is to make! Is there a family recipe you adore? Please share it with me! 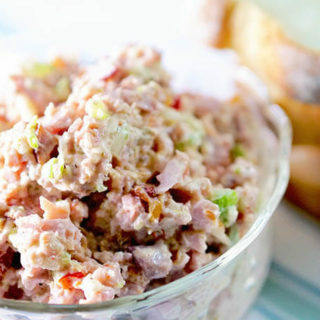 If you love this recipe as much as I do, be sure to comment below with a five star rating! 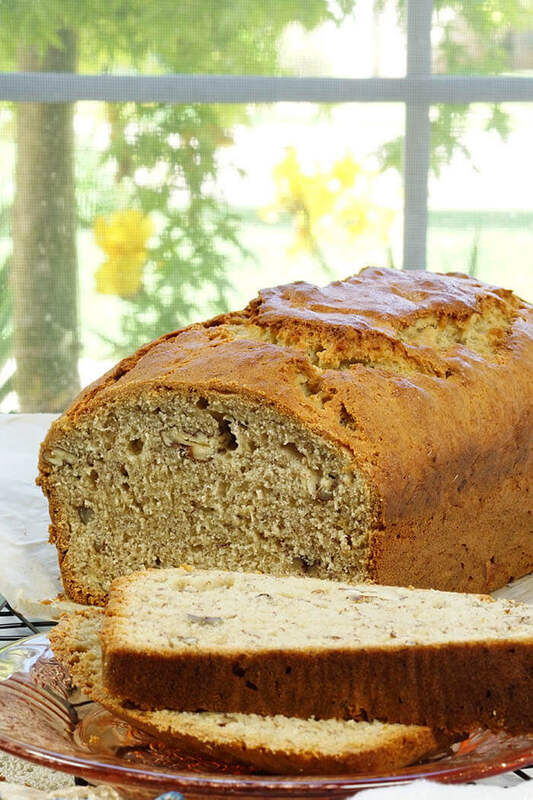 This loaf of Banana Bread is packed full of nuts and sweet ripe bananas. It has a slightly crunchy crust and the inside is dense and tender. 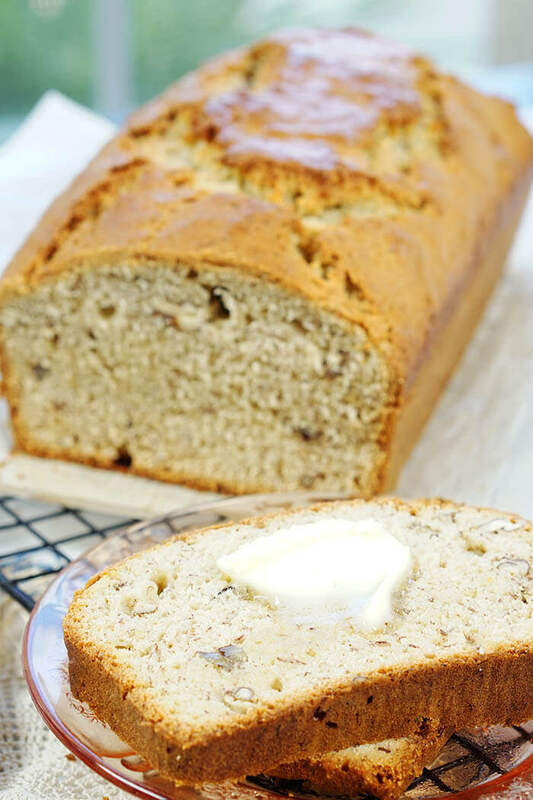 Completely delicious and super easy, this is a classic recipe banana bread recipe that you will love! 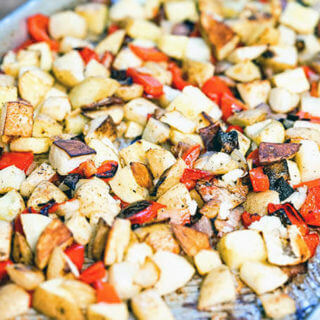 Sift together the dry ingredients, set aside. Add eggs one at a time, mixing thoroughly before adding the next egg. Add the vanilla and bananas - mix well. Add the dry ingredients in three parts being sure it's mixed together well. 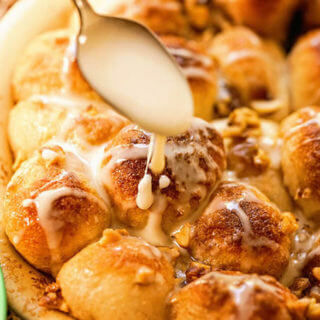 Pour into the buttered, lined loaf pan. Bake in preheated oven for 60-70 minutes or until a toothpick inserted into the middle comes out clean. *lining the pan with parchment paper will help the loaf easily slide out of the pan after baking. Thank you Liza! This is such a great recipe and it’s fun to share something from Dan’s Grandma – I hope the boys love it! I would make homemade pizza dough first! Mmmmm….homemade pizza sounds just delicious! Bread is a great choice, good luck with the giveaway!! !